The Bachelor of Science (Honours) in Occupational Therapy is a four-year programme designed to provide an excellent educational experience in the theory and practice of occupational therapy. 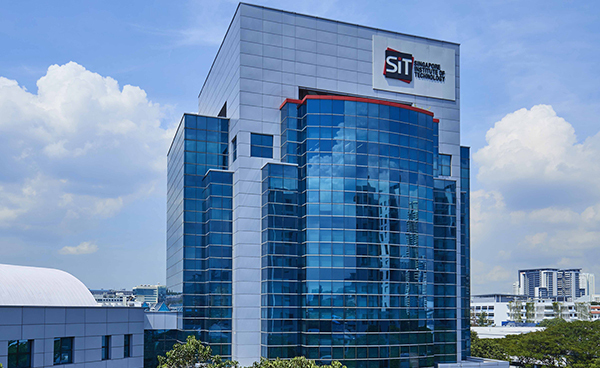 The programme requires successful completion of academic courses and clinical practice education, and aims to equip graduates with knowledge, skills and attitudes to support contemporary development and delivery of occupational therapy, meeting the evolving needs of the Singapore population. Graduates who meet the requirements of the Allied Health Professions Council (AHPC) for registration and practice as an occupational therapist will work in a wide variety of settings. SIT occupational therapy graduates will be competent critical thinkers, occupation-focused, evidence-based, reflective and self-directed practitioners. The pedagogy is customised to the type of content that needs to be learnt. For example team-based learning, a form of flipped classroom, uses structured small-group learning that emphasises student preparation out of class and application of knowledge in class. Problem-based learning will help students integrate knowledge to cases while promoting skills of enquiry and self-directed learning. Lectures, tutorials and practical sessions will be employed as required in various modules. A variety of assessment methods (e.g., group projects, simulated clinical scenarios) will be used to assess higher order thinking and clinical reasoning skills. A quality and up-to-date curriculum is ensured through consultations with Industry Advisory Committee, occupational therapists in clinical settings, Singapore Association of Occupational Therapists as well as accreditation and recognition process through the AHPC and the World Federation of Occupational Therapists. Upon completion of the programme, the graduate can be employed as an occupational therapist in a variety of settings, such as acute hospitals, community hospitals, rehabilitation centres, voluntary welfare organisations, special schools, nursing homes, private practices and government agencies. Obtained a good pass in two H2 subjects, one of which has to be Biology, Chemistry, Physics and Mathematics. And also offered General Paper or Knowledge & Inquiry in the same sitting while satisfying Mother Tongue requirements. Obtained a good pass in two IB HL subjects, one of which has to be a Science/Mathematics (HL Biology, HL Chemistry, HL Physics and HL Mathematics); and another HL subject while satisfying Mother Tongue requirements. Obtained a good pass in two subjects, one of which has to be a Science/Mathematics (Biology, Chemistry, Physics and Mathematics). The Professional Conversion Programme (PCP) helps and supports mid-career Singaporeans in acquiring relevant training to be Occupational Therapists. PCP applicants must apply to both SIT as well as WSG during the application period in order to be considered. This module aims to lay the basic foundations in occupational therapy. There are two sections in the module. The first section provides an introduction and overview of concepts of the person, environment and occupation (PEO) critical to the practice of occupational therapy. The module will link between participation, engagement, occupation and well-being. It provides an introduction to occupational therapy theories. The ICF and concept of client-centred practice will be introduced. The second section of the module focuses on the study of occupation. It aims to introduce the concept of occupation and occupation science. It aims to develop understanding of why people engage in occupation, the outcomes of occupation in society, positive and negative occupations, how occupations influences health and well-being. This module provides an introduction to occupational performance and exploration of human psychological and social functioning across the lifespan. The modules aim to help student explain how the typical development of an individual impacts on occupation across from conception to death. A team-based learning approach will be used for this module. This module aims to introduce the occupational therapy process. Students will learn about the stages involved in the occupational therapy process and the knowledge and skills therapists draw on to support diverse client groups from the point of referral to assessment, service provision and evaluation of outcomes. Students will learn to relate the OT models to the OT process. The module also introduces the student to the area of activity analysis and therapeutic potential of activity. The module will focus on getting student to differentiate between occupation and activity, as well as differentiating between occupation as means and occupation as ends. Students will perform activity analysis of family members and friends in the real world setting. Students will also engage in a new activity of leisure, exploring the journey of learning and reflecting on how the activity can be used/taught therapeutically. An assignment relating to how all other modules in the trimester are linked to occupational therapy practices will be included. The module will also prepare students in going out for the practice education and clinical practice. Issues on confidentiality and safety will be emphasised. The module will also focus on developing verbal and non-verbal communication skills, in particular the interaction between students and supervisor, as well as student and clients. Other issues such as conduct, punctuality, professional appearance will be discussed. Students will develop skills in writing reflection diary and report. This module will expand on neuroanatomy taught during the anatomy and physiology modules in year 1. It will cover the structure and function of the central nervous system, from the cerebral cortex to the spinal cord, focusing on the structures and their involvement in executive function, learning and memory, sensory processing and motor control. Students will explore some of the more common neurological disorders encountered in their occupation. Clinical presentations will be linked to brain functions and neuronal systems to facilitate a deeper understanding of the pathophysiology behind these disorders. This module focuses on promoting occupational engagement and active participation in leisure activities and community independent living for individuals with different health conditions. The different types of health conditions will be explained in relation to clinical presentations, prognosis, progression and typical medical interventions. As part of the client-centered practices, a series of clinical assessment tools will be explored to better equip the students with skills in conducting occupational focused assessment related to leisure activities and community independent living. Locally available community resources will be explored in this module. Students will need to link prior knowledge of occupational therapy theory and practice to “SMART” goal setting and therapy treatment planning for people with different types of health conditions. The detailed occupational therapy interventions and relevant treatment approaches for various health conditions will be discussed with team-based learning approach in this module. Students are also required to critically appraise the research articles to determine the level of clinical evidence for the searched interventions and apply the learned knowledge to the targeted client groups in local context. Common local community environmental hazards and improvement will be explored via group projects. Assistive devices, such as power mobility aids, that can be used to promote community participation will be introduced in this module. This module aims to offer practical preparation for learning within the fieldwork setting. Students will spend some hours in the community such as child-care, after school-care, senior activities center, nursing home with the objective to observe typical developing children or older adults’ function and use time. Students may get opportunity to observe occupational therapy in action in some of these settings. This module is linked to concepts of time use, life stages, and activity analysis; which are concepts that students have picked up over the first two trimester. Students will return to class once a week for two hours to discuss what they have learnt. The module provides students with the knowledge and skills to help people with different conditions engage and participate in activities of daily living. The module covers assessments and evidence based interventions for conditions encountered by occupational therapists that impact on daily living. Students will explore the clinical presentations, progression, and prognosis of medical and surgical conditions that will affect one’s ability to perform daily living skills. Students will learn comprehensive assessment and intervention skills in biomechanical, sensorimotor, cognitive and psychosocial performance components that will facilitate engagement and participation. Team-based learning and flipped classroom will be used in this module. Case studies ensure students will synthesise the knowledge and skills, and apply this effectively. This module builds on the concepts of Psychological and Sociological Perspectives for Health Science taught in Year One, to incorporate social psychological theories such as how socialization norms and roles (in health and disease), class, gender etc affect treatment approaches in illnesses. Social perspectives on health-related behaviour, self-esteem, attitude change, compliance, conformity and prejudice etc will be taught. Students will gain a basic understanding of how social psychology principles underpin changes in people’s behaviour and apply them in mental wellness, stress management, resiliency and disease management programmes. The module also covers the major classification systems of psychiatric conditions used by mental health professionals, as well as the description, causation, prevention and treatment of common psychiatric conditions. It introduces biological, humanistic, behavioural, social and psychological perspectives of abnormal psychology. Major frameworks such as psychodynamic, cognitive behavioural, person-centred and biomedical approaches will be taught. Common psychiatric assessments as well as the study of abnormal behaviour using scientific research processes are also examined. In the application to occupational therapy, particular emphasis is placed on the recovery movement and psychiatric rehabilitation principles. Contemporary practice of psychological and counselling approaches in the rehabilitation of people with psychiatric disorders are discussed and practiced. Through this module, students will further understand and evaluate conceptual and practice models which underpins the philosophy and practice of occupational therapy. It builds up on the OT theoretical models learnt in Year 1. The module will facilitate students to evaluate the application of theoretical knowledge and practical skills of occupational therapy intervention. Students will also be introduced to the concept of clinical reasoning and therapeutic use of self. Occupational-based assessment tools will be introduced. Frames of references (FOR) will be related to OT models, alongside linking in with FOR introduced in other modules in this trimester. An assignment relating to how all other modules in the trimester are linked to occupational therapy practices will be included. The module provides students with the knowledge and skills to help people with different conditions regain work and productive occupations. The module covers assessments and evidence based interventions for conditions encountered by occupational therapists that impact on productive occupations. Students will explore the clinical presentations, progression, prognosis and typical medical and surgical interventions that impact on ability to work. Students will learn technical assessment and intervention skills in biomechanical, sensorimotor, cognitive and psychosocial performance components that will facilitate achieving of productive occupations. Students will also gain assessment and intervention skills related to ergonomics and occupational health to ensure effective environmental adaptation for work and prevent work related injuries. Team-based learning and flipped classroom will be used in this module. Case studies ensure students will synthesise the multiple domain knowledge to manage effective productive occupations. The module prepares students for the block of longer clinical practice education. It covers several aspects including communication skills, moving and handling and documentation. In the communication aspects, it focuses on developing communication skills for the work environment. It aims to facilitate students' awareness of communication in therapeutic contexts and in group situations. It emphasizes on communication skills needed to establish person-centered practice. Communication issues and strategies needed for working with a variety of clients, such as limited language, emotional, service user who are upset and concerned family members will be explored. Verbal and non-verbal communication when working in an inter-professional team will be emphasized. Communication skills required for conflict management and negotiation will be discussed and practiced. This module will also prepare students for the first long block of clinical education. Basic Cardiac Life Support (BCLS) course and mask fitting will occur in the early part of this module to prepare students for clinical placement. The module will also cover in depth communicating with fieldwork supervisor. Documentation as a form of professional communication will also be covered in this module. In the moving and handling aspect, this module will introduce fundamental principles of mobility and ergonomics. Current ergonomic methods and techniques commonly used by occupational health and safety professionals will be taught. Students will be guided to apply ergonomics principles to their professional practice of occupational therapy. Theory and practice of manual handling and risk assessment will be introduced. Principles from theories, such as NDT will be drawn upon when learning moving and handling techniques for patients with neurological conditions. The course will promote safe handling techniques with emphasis on safety issues with regards to self and others. Students will also be introduced into principles of seating and wheeled mobility. Simulated labs or ward environments may be used to prepare students for clinical environment, highlighting common medical equipment in ward, monitoring of clinical / vital signs and interaction with patients who are connected to devices (e.g., IV lines, catheters, feeding tubes). This module builds upon the study of occupation, applying principles to working with person with disability. Students will learn about group theories and skills. Relating to the client groups that will be covered in this trimester (e.g. person with mental health condition), students are to integrate OT theory and practice to design various types of group work that support performance. Students will advance in their skills of activity analysis and grading, be able to describe the activity demands of various occupations or activities while interpreting the context of various occupations or activities. Adult learning principles will be covered in this module, with the aim to develop student’s ability to teach, train or coach caregivers. Client-centred and family-centred practice will be reinforced in the module. An assignment relating to how all other modules in the trimester are linked to occupational therapy practices will be included. In addition to the clinical education, students will return half day a week to emphasize the importance of both concrete experience and critical reflection in developing competence as an occupational therapist. To facilitate learning and understanding based on their clinical education experiences, students will be required to use assessment, case presentation and reflection. The students will be required to do a project based on a selected client, integrating daily living skills, leisure and community participation as well as work and productivity, i.e. the previous modules covered in the first two trimester of Year 2. This module addresses the common conditions for children and youth in relation to a range of developmental, mental health and neurological conditions. The module focuses on the impact on children's occupational performance and participation. It facilitates the students to learn about the theories and occupational therapy process within pediatric practice. Frames of reference for addressing issues of occupational performance and participation will be introduced along with appropriate assessment methods, interventions as well as models of service delivery. The concept of person-centred practice will be expanded into family-centred practice. It will also address the participation of children, youth and their families in relation to their home, school and community environments. Students will learn about goal setting and communicating with different stakeholders including the child, family and teachers. This course focuses on the theories of aging and intervention strategies specific to older adults. It expands into conditions and issues older adults face such as falls, cognitive decline / dementia, frailty, anxiety, depression and having multiple conditions. It also explores contemporary issues faced by the society in relation to the aging population, such as nursing home, care by domestic helpers. Concepts of occupational justice will be discussed in relation to some practices when working with older adults. Students will be led into looking at the efficacy of programs targeted at older adults and their caregivers, such as active aging / well-elderly program, retirement planning, fall prevention programs, caregiver support groups. The course will challenge some of pre-existing stereotypes on aging and working with Asian families with varying values such as filial piety. Theories on aging will be covered. Students will get to explore ways to work with the very old (>90s). Issues and strategies such as older adults’ interpretation and values of independence, wellness and understanding of occupation will be covered in depth, relating to the Asian literature. Students will learn about different issues to consider when working with the current older adults versus older adults in the future. This module will be closely related to the various initiatives and direction that the Singapore ministries and agencies are working on in managing the aging population. This module is designed to develop student's understanding of the impact of both physical & mental health chronic conditions, with particular focus on palliative condition on occupational performance and participation. Students will develop skills in assessment and service provision relevant to these conditions. Emphasis will be placed on service provision in the primary care, community setting including home therapy. Students will develop ability to design programs that involve self-management and lifestyle redesign to meet the needs of clients with chronic conditions. They will develop communication skills in empowering service users in collaborative generation of intervention strategies. This module aims also aims to advance OT clinical practice and reasoning when faced with clients with complex issues, or multiple chronic conditions (e.g, obesity, arthritis and depression). Complex case studies will be presented expanding from conditions previously covered. Students will be required to develop assessment and intervention strategies to meet the needs of the client discussed. Through the process of problem based learning and other learning methodologies, students will demonstrate skills in effective communication, team work, critical analysis, reflection, self-direction and problem solving with relevance to the practice of occupational therapy. This module aims to develop student knowledge and skills in working with people for whom psychosocial factors affect occupational performance. This course builds on the psychiatric and mental health foundations provided in the earlier course. Content addresses assessment and service delivery processes in psychosocial fields of adult occupational therapy, including: mental health, physical health, ageing and intellectual disability. A specific focus is on understanding the impact of psychological, social, emotional, and behavioural factors that may affect person with either physical or mental health conditions. This module requires student to relate complex cases back to occupational therapy theory while focusing on the psychosocial issues that may affect client and family. Complex case studies will be presented expanding from conditions previously covered. The principle of case management will also be covered in this module. Students are required to integrate theory with evidence based practice when working on the complex case studies. The use of local community resources will be emphasized in this module. An assignment relating to how all other modules in the trimester are linked to occupational therapy practices will be included. The level of clinical practice education will be more advanced than in Year 2. The expectations are that students can be independent in conducting assessment and conduct part of intervention and evaluation independently towards the end of the 7 weeks. Alongside this clinical education, students will be expected to complete an innovative project proposal that applies design thinking principles for improving process of health and rehabilitation services. Through observation and ethnographic research, the students will understand users more insightfully. They would subsequently explore challenges that users face and eventual identify a project within the clinical practice education. After which, they would "test" the prototype in the clinical context to collect feedback. The students will return to university for 2 hours a week to apply the Design Thinking principles in the service improvement project. This six weeks module aims at getting healthcare professional students in considering how technology can be harnessed to create solution for healthcare problems. Technology use is integral to our functioning across domains including self-care, productivity and social participation. This course will introduce students to concepts of usability and accessibility of both mainstream and assistive technologies. Principles of Universal Design and home modification will be taught. The module will provide students with an opportunity to learn contemporary models of practice framework for assessing and developing the human-technology interface. Students will understand the importance of service delivery processes in optimising the performance of persons with disabilities using technology and identify the availability of government funding resources. The students will also explore how occupational therapists can work with other stakeholders such as engineers and information communication technology experts to come up with designs that can lead to the development of inclusive practices. The module will be supported by engineering faculty and visiting professors with rich experience in healthcare technology. The level of clinical education will be more advanced than in Year 2. The expectations are that students can be independent in conducting assessment and conduct part of intervention and evaluation independently towards the end of the 7 weeks. This is the final level of clinical education. The expectations are that students work towards independently taking on a proportion of the workload towards the end of the block of clinical practice education. This module will look into developing leadership skills in occupational therapy. Leadership theories will be introduced. Students will be led into identifying skills required for management such as budgeting, manpower planning, sourcing for funding. This module is highly tailored to the local context with the intention of introducing students to the various local resources available to tap on. Local examples of leadership and management will be presented. Students will also gain skills in marketing a service developed. Students will work on a service development proposal alongside other module in the trimester. In addition, they will learn about international and local accreditation systems that our local health care sector commonly adopts (eg: JCI, QEHS). Students will also gain insight on System Thinking and consider how OTs can effect change within the systems will help in care transformation. This module aims to introduce students’ understanding in occupational justice both locally and globally. This course will provide students with knowledge of issues on humanitarian rights, occupational justice, and terms such as occupational alienation, deprivation, marginalisation, imbalance and erosion. The concepts of human rights and global citizenship will be reviewed and critiqued, and this will be extended to the Singapore context. Students will explore concepts of occupational justice in relation to disability studies. It develops students’ ability to critically evaluate issues (including own attitudes) related to the experiences of disability. Skills such as developing communication skills for social change including advocacy skills will be developed. Critical and ethical reasoning will be required. Students will interact with advocates for disability rights such as person with disability who campaign for rights in the community. The module will also cover some of the sociological issues when working with clients and get students to explore issues on clients-practitioner relationships. In this module, student will integrate key concepts and knowledge taught in the entire four-year course. There are two components in the module, namely a service delivery project and a practical section. In the service delivery project, students will work in groups to develop a programme for an emerging area of practice, integrating theory and evidence. In the practical sessions which occur as a boot-camp, students will be working with standardised patients at different stations, while being assessed for their ability to communicate, conduct assessment, plan and carry out intervention. Students will be required to integrate theory, evidence, clinical reasoning and practical competency while working through the OT process with different standardised patients at different stations. An assignment relating to how all other modules in the trimester are linked to occupational therapy practices will be included.